Germany unveiled the country’s very first zero-waste supermarket. 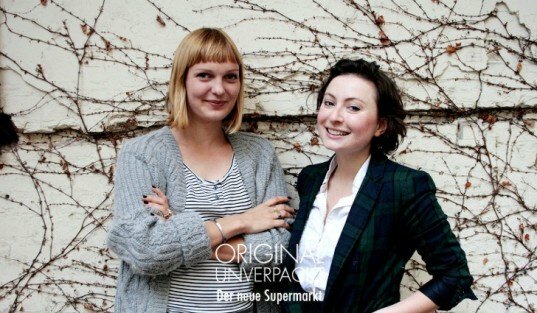 Berlin’s Original Unverpackt is the brainchild of friends Sara Wolf and Milena Glimbovski. Frustrated by the overpackaging and wastefulness they saw in the retail food industry, the young women decided to take action and launched a crowdfunding campaign in early May that has succeeded beyond all expectations. The concept of the store is simple: all food is provided in bulk and customers bring their own containers. If you forget your containers, you can borrow multi-use ones from the store, or make use of recycled paper bags. While the concept is familiar to food co-ops, Original Unverpackt is on a larger scale and provides absolutely no single use packaging or pre-packaged goods. Where possible, produce is sourced locally to reduce food miles, and both organic and less-expensive conventional products are on offer as well “Everyone should be able to afford to help the environment in the way they can,” the duo adds. Dry goods are dispensed from gravity bins, allowing shoppers to customize their purchase and avoid wasting food at home caused by buying more than they really need. The women aim to provide a real alternative to Germany’s larger supermarket chains and plan to expand the number of outlets as finances allow. While the biggest battle now will be getting customers to remember their containers, similar concepts elsewhere show it can be done. despite the naysayers,I am super pleased this is happening...it used to be a thing;but in the last 2-3 decades these shopping concepts have shrunk to almost nil in NZ and similar places...I would totally support such a store. hola soy chilena y encuentra genial su idea ademas me transporto a mi niñes donde uno compraba solo lo necesario recuerdo el almacen del barrio donde uno llevaba la botella para comprar el aceite, y la bolsa de genero para el pan ,y el envoltorio era de papel. What a refreshing and wonderful concept. More power to you! Check out Riverford Farm supplies in UK. They adopt a similar idea and deliver to their customers' doors, fresh goods WITHOUT unnecessary packaging and contained in reusable boxes. Tafline Laylin-it says you bring your own containers. If you forget them you can borrow multi-use ones from their store or use recycled paper bags. Think Aldi-they don't provide bags either. But how to people carry their goods home? Do they use plastic bags? Or do they bring their own containers? 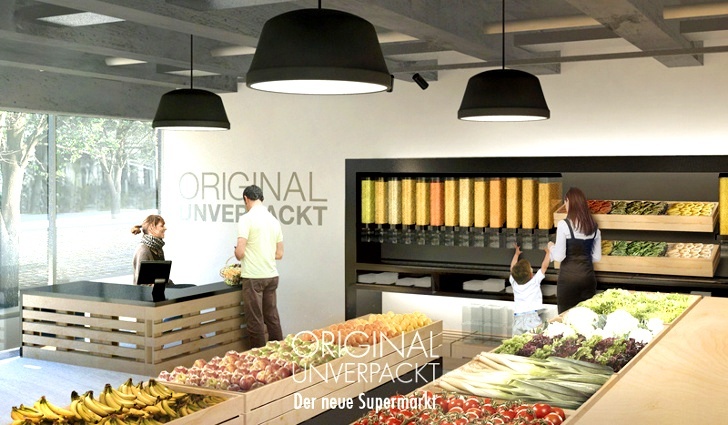 Two outlets of Original Unverpackt, Germany's first zero-waste supermarket, are set to open in Berlin over summer 2014, with plans to expand further as finances allow. Sara Wolf and Milena Glimbovski initiated the project after being frustrated by the 16 million tons of packaging waste produced in Germany each year. Customers bring their own containers to the store, which provides no single-use packaging or pre-packaged foods. The store uses gravity bins to dispense exactly the amount of product customers need.